Choose an elegant address plaque for your home. Your street numbers and street address will be elegantly engraved onto the plaque. When people are trying to find your house, they will easily see your address. 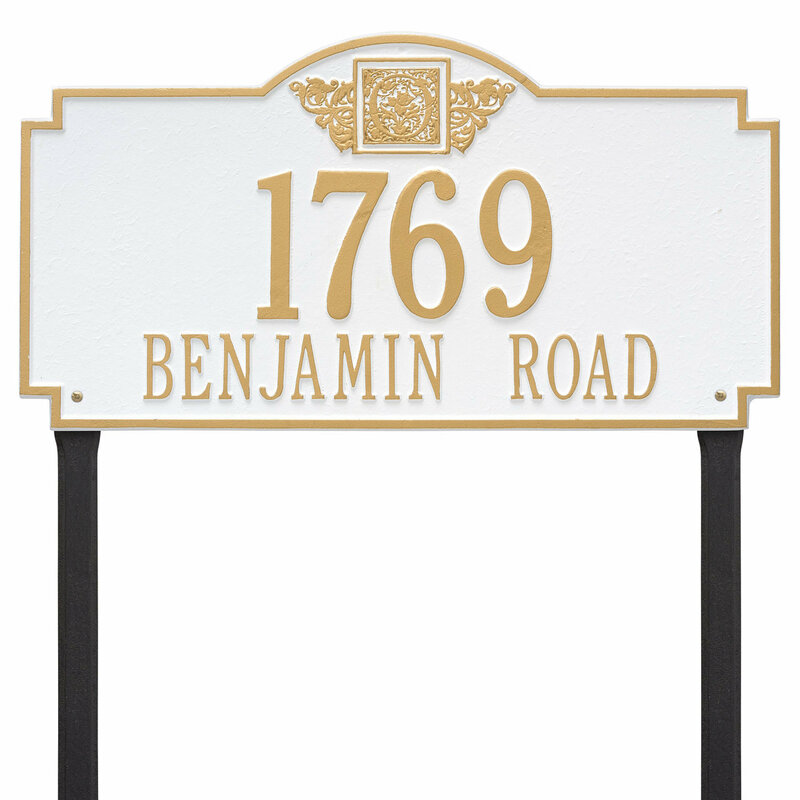 You have multiple styles and colors to choose from so you can match the perfect address plaque to your home. Colors such as black, brown, red and blue. The street addresses come in different font styles per the plaque they are on so you can choose what fits your taste. You may select from medium or large sizes. Address plaques may be displayed vertically or horizontally. You have the option of choosing a wall mounted plaque, address signs, hanging address plaques and mailbox address plaques. Follow suit with the plaque you choose for your home onto your mailbox for an even more elegant look. Each address plaque and sign is made out of high quality material to withstand even the harshest of weather. Your plaque and/or sign will add beauty to your home and will continue to look beautiful year after year. If you decide to change the color of your house, you know that you can order the same superb product again. Enjoy fast service so you can get your address plaque and/or address sign on your home as soon as possible.